My approach to American art is shaped by the study of works of art, visual objects and instances of cultural interplay that are often overlooked in more mainstream art historical scholarship. I am an active supporter of the integration of visual culture into the study of American art. But I also perceive a need for continued refinement of our models for thinking across frameworks of knowledge and expression, and for the balanced integration of interdisciplinary interests into the already rich methodologies of art history. My research embraces these convictions through a broad exploration of the intersections between art, sight and technology in the late nineteenth and twentieth centuries. Though roving across topics ranging from the archaeological monuments of the Pre-Columbian Americas to post-World War Two debates on art historical methodology, my work retains a consistent focus on the epistemology of vision and its operations across levels of representation, social structures and everyday culture. At its conceptual center is an understanding of visual/material culture wherein issues of technology and expression are deeply entangled in both avant-garde discourse and an articulate everyday sensibility. My undergraduate teaching reflects the richness of my field and is responsive to the needs of students in an increasingly technologized, heterogenous and globalized world. My graduate teaching prepares students to engage at a high level with key historical and conceptual debates within American modernity, including questions of technology and representation, landscape and identity, and art and politics. Recent seminars topics have included: the country and the city in art, the representation of Latin American landscape by US artists, and “scale” as a formative concept in American art and culture. I also regularly teach our core seminars in historiography and methodology. My advisees have completed theses on topics from Japanese influences on late nineteenth-century American painting to the representation and self-presentation of indigenous culture at a Native American boarding school during the 1930s and 40s. My first book, “Barnstorming the Prairies: How Aerial Vision Shaped the Midwest” (University of Minnesota Press, 2015), explores modern aerial vision and its impact—visual, conceptual, technological, and cultural—on American art and life. Focused on the rural landscape of the Middle West, it unfolds how the vertical and dynamic sightlines actualized by aviation composed a new episteme of vision that enabled Americans to re-conceptualize the image (and identity) of the region. In addition to theorizing this new aerial mode of visuality, my work also seeks to challenge the typically urban orientation of studies in American modernism by bringing to light the ways that rural cultures adapted, invented, and even projected new visual strategies for conceptualizing American land and life. My current book project examines the role played by art and other, more technical forms of illustration in the discovery and conceptualization of archaeological ruins from pre-contact North and South America that took place during the late nineteenth and early twentieth centuries. I am interested in learning how a shift from the artifact-centered practices of antiquarian archaeology toward the vision-oriented media of mapping, photography and other forms of remote sensing aestheticized archeological sites and dematerialized their relationship to culture and history. 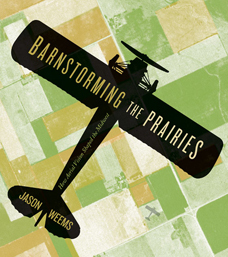 Barnstorming the Prairies: How Aerial Vision Shaped the Midwest. Minneapolis, MN. : University of Minnesota Press, 2015. “A Conversation Missed: Towards an Historical Understanding of the Americanist Modernist Divide,” (with Joshua Shannon), in Companion to American Art, ed. John Davis, Jennifer Greenhill and Jason Lafountain. New York: Blackwell Press [March 2015]. “War Furniture: Charles and Ray Eames Design for the Wounded Body,” Boom: A Journal of California Vol. 2, No. 1 (Spring 2012), pp. 48-50. “Vision at California Scale: Charles and Ray Eames, Systems Thinking, and the Diminishing Status of the Human Body after World War Two” in Where Minds and Matters Meet: Technology in California and the West, ed. 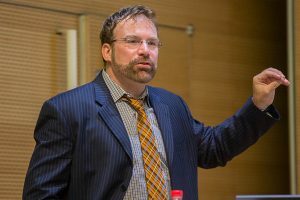 Volker Janssen. Berkeley: Huntington Library and the University of California Press, 2012, pp. 251-292. “Wings Over the Andes: Aerial Photography and the Dematerialization of Archaeology Circa 1931” in Past Presented: The History of Archaeological Illustration, edited by Joanne Pillsbury. Cambridge, MA. : Dumbarton Oaks and Harvard University Press, 2012, pp. 319-354. “Interpreting a 1930s Aerial Survey Photograph: The Artfulness of Technological Images,” History and Technology Vol. 27, No. 2 (July 2011), pp. 223-233. “Looking Up, Looking Down: Visual Angles on American Art,” American Art Vol. 25, No. 1 (Spring 2011), pp. 2-10. “Scanning Bob’s Body: Rauschenberg’s Booster, Science, and the Techno-visual Subject,” Bulletin of the Detroit Institute of Art Vol. 82 (May 2008), pp. 1-17. Interrogating Manzanar: Photography, Justice and the Japanese-American Internment, UCR California Museum of Photography, Riverside, CA., March-July, 2015. (with Joanna Szupinska- Myers). 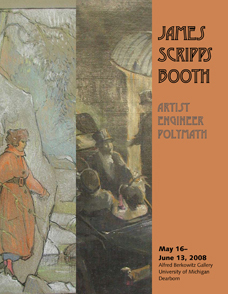 James Scripps Booth: Artist, Engineer, Polymath, Berkowitz Gallery of Art, University of Michigan- Dearborn, Dearborn, MI., May-June, 2008. [with catalog].